Richard was born in Bloxwich, the son of Richard and Emily Grant Wilks of ‘Emscote’, Stafford Road, Bloxwich, his father having his own lock manufacturing business. He was educated at Queen Mary’s Grammar School, Walsall and was later employed at the Sunbeam Works in Wolverhampton. At the time of his death his bn were holding positions south of Bourlon Wood in the Fontaine Notre Dame sector. 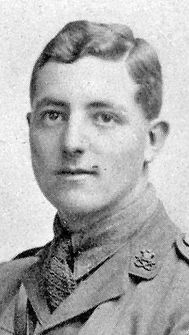 United Kingdom Corporal 241642Duke of Wellington's (West Riding Regiment)27/11/1917 Age: 22 II. B. 13. United Kingdom Second Lieutenant Seaforth Highlanders20/11/1917 I. C. 18. United Kingdom Private 265648Gordon Highlanders20/11/1917 Age: 19 I. D. 9. United Kingdom Corporal S/17484Gordon Highlanders27/09/1918 II. B. 17. United Kingdom Private 29300Grenadier Guards27/09/1918 I. B. 30. United Kingdom Lance Corporal 42501Royal Engineers28/11/1917 II. A. 14. United Kingdom Private 37975West Yorkshire Regiment (Prince of Wales's Own)30/12/1917 Age: 24 II. B. 27. United Kingdom Captain South Staffordshire Regiment30/11/1917 Age: 24 II. C. 18. United Kingdom Major Scots Guards28/11/1917 Age: 52 II. A. 13. United Kingdom Private 108780The King's (Liverpool Regiment)29/09/1918 I. B. 29. United Kingdom Private S/41044Seaforth Highlanders23/11/1917 Age: 41 I. A. 15. United Kingdom Lance Corporal 21461Machine Gun Corps (Infantry)01/12/1917 II. B. 1. United Kingdom Private 425653London Regiment12/01/1918 II. B. 19. United Kingdom Private 6239Royal Army Medical Corps28/11/1917 II. A. 15. United Kingdom Private 40757South Staffordshire Regiment30/11/1917 Age: 19 II. A. 27. United Kingdom Private 12964Essex Regiment04/12/1917 II. B. 35. United Kingdom Private 14480Middlesex Regiment05/11/1917 II. C. 50. 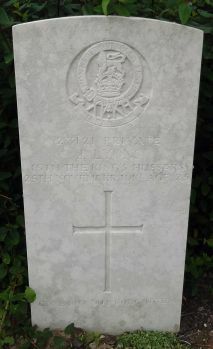 United Kingdom Private 29252Grenadier Guards27/09/1918 Age: 20 I. B. 27. United Kingdom Serjeant 303016West Yorkshire Regiment (Prince of Wales's Own)20/11/1917 II. B. 7. United Kingdom Private 265636Sherwood Foresters (Notts and Derby Regiment)02/12/1917 II. C. 33. United Kingdom Private 15581South Staffordshire Regiment01/12/1917 II. B. 39. United Kingdom Lance Corporal 240719Leicestershire Regiment06/12/1917 Age: 21 II. A. 1. United Kingdom Corporal 9661Lancashire Fusiliers26/12/1917 Age: 20 II. B. 31. United Kingdom Rifleman 63872West Yorkshire Regiment (Prince of Wales's Own)29/09/1918 I. C. 2. United Kingdom Private 40758South Staffordshire Regiment28/09/1918 I. B. 34. United Kingdom Major Royal Field Artillery30/11/1917 II. A. 26. United Kingdom Private PLY/2260 (S)Royal Marine Light Infantry08/03/1918 Age: 26 II. C. 9. United Kingdom Private 34427Leicestershire Regiment06/12/1917 Age: 22 II. B. 47. United Kingdom Rifleman 45902West Yorkshire Regiment (Prince of Wales's Own)27/09/1918 Age: 35 I. C. 34. United Kingdom Private 16227Sherwood Foresters (Notts and Derby Regiment)02/12/1917 II. C. 27. United Kingdom Private 69375Royal Army Medical Corps25/11/1917 II. C. 46. United Kingdom Rifleman 570711London Regiment29/11/1917 Age: 25 II. A. 23. United Kingdom Private 635652London Regiment27/09/1918 Age: 28 I. C. 21. United Kingdom Private 285373Seaforth Highlanders20/11/1917 Age: 37 I. C. 11. United Kingdom Private 41630Royal Army Medical Corps30/11/1917 Age: 21 II. B. 42. United Kingdom Private 266253Seaforth Highlanders20/11/1917 I. D. 37. United Kingdom Private 285379Seaforth Highlanders20/11/1917 Age: 39 I. D. 31. United Kingdom Lance Corporal 310004Gordon Highlanders20/11/1917 I. C. 17. United Kingdom Private 241482South Staffordshire Regiment01/12/1917 II. B. 40. United Kingdom Lance Corporal 15035Sherwood Foresters (Notts and Derby Regiment)08/12/1917 Age: 31 II. C. 3. United Kingdom Corporal PO/2048 (S)Royal Marine Light Infantry08/03/1918 II. C. 11. United Kingdom Lance Corporal GS/11735 5th Dragoon Guards (Princess Charlotte of Wales's)26/11/1917 Age: 28 I. A. 18. United Kingdom Labourer 4492Chinese Labour Corps24/02/1919 Chinese Plot. United Kingdom Private 91638Tank Corps20/11/1917 Age: 27 I. C. 16. United Kingdom Serjeant 40135The King's (Liverpool Regiment)29/09/1918 I. B. 26. United Kingdom Private 46644Machine Gun Corps (Infantry)02/12/1917 II. A. 31. United Kingdom Private 17077Coldstream Guards28/11/1917 Age: 27 II. A. 20. United Kingdom Private 291226Gordon Highlanders20/11/1917 Age: 20 I. B. 3. United Kingdom Private 96480The King's (Liverpool Regiment)29/09/1918 I. B. 37. United Kingdom Private 240464Seaforth Highlanders23/11/1917 Age: 20 I. A. 9. 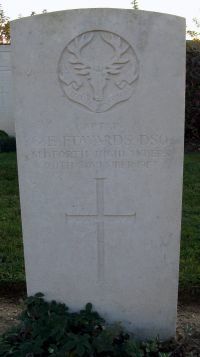 United Kingdom Private 3478Welsh Guards27/09/1918 Age: 34 I. B. 28. United Kingdom Private S/14976Gordon Highlanders20/11/1917 Age: 19 I. D. 7. United Kingdom Lance Corporal 291293Gordon Highlanders20/11/1917 I. D. 8. United Kingdom Private 703298London Regiment22/01/1918 Age: 22 II. A. 5. United Kingdom Private 32182South Staffordshire Regiment01/12/1917 Age: 20 II. C. 13. United Kingdom Sapper 406296Royal Engineers23/11/1917 Age: 36 I. A. 13. United Kingdom Second Lieutenant Gordon Highlanders20/11/1917 I. B. 9. United Kingdom Private 202153South Staffordshire Regiment01/12/1917 II. C. 23. United Kingdom Private 277445Argyll and Sutherland Highlanders20/11/1917 I. C. 1. United Kingdom Private 8510Irish Guards27/11/1917 II. A. 17. United Kingdom Private H/9481 19th (Queen Alexandra's Own Royal) Hussars24/11/1917 I. A. 14. United Kingdom Private 202637Welsh Regiment24/11/1917 Age: 25 I. A. 29. United Kingdom Private 313020Gordon Highlanders20/11/1917 Age: 19 I. D. 21. United Kingdom Private 82466Machine Gun Corps (Infantry)20/11/1917 II. A. 12. United Kingdom Private 267521Seaforth Highlanders20/11/1917 Age: 19 I. C. 3. United Kingdom Private 105519The King's (Liverpool Regiment)29/09/1918 I. B. 24. 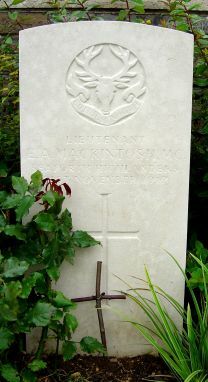 United Kingdom Serjeant 12223Coldstream Guards27/11/1917 Age: 27 II. B. 11. United Kingdom Private 265368Gordon Highlanders20/11/1917 Age: 20 I. B. 10. United Kingdom Private 266606Seaforth Highlanders23/11/1917 Age: 23 I. A. 28. United Kingdom Lance Corporal 380930The King's (Liverpool Regiment)29/09/1918 I. B. 22. United Kingdom Captain Seaforth Highlanders20/11/1917 Age: 29 I. B. 8. United Kingdom Private 31335South Staffordshire Regiment30/11/1917 II. A. 35. United Kingdom Serjeant 15760West Yorkshire Regiment (Prince of Wales's Own)27/09/1918 I. C. 38. United Kingdom Private 45046South Staffordshire Regiment30/09/1918 Age: 21 I. B. 31. United Kingdom Rifleman 60768West Yorkshire Regiment (Prince of Wales's Own)27/09/1918 Age: 19 I. C. 26. United Kingdom Serjeant 34484Royal Field Artillery02/12/1917 Age: 29 II. C. 25. United Kingdom Private 291408Gordon Highlanders20/11/1917 I. D. 12. United Kingdom Lance Serjeant 4628Coldstream Guards29/11/1917 II. A. 19. United Kingdom Rifleman 62316West Yorkshire Regiment (Prince of Wales's Own)27/09/1918 Age: 19 I. C. 35. United Kingdom Private 201885North Staffordshire Regiment30/11/1917 II. C. 26. United Kingdom Private 40817South Staffordshire Regiment01/12/1917 II. C. 17. United Kingdom Private S/40169Seaforth Highlanders20/11/1917 Age: 19 I. C. 10. United Kingdom Rifleman 306832West Yorkshire Regiment (Prince of Wales's Own)27/09/1918 I. C. 31. United Kingdom Serjeant S/8948Argyll and Sutherland Highlanders25/11/1917 Age: 29 II. C. 43. United Kingdom Rifleman 63897West Yorkshire Regiment (Prince of Wales's Own)27/09/1918 I. C. 27. United Kingdom Lance Serjeant 12015Scots Guards26/11/1917 Age: 27 II. C. 48. United Kingdom Rifleman 242353West Yorkshire Regiment (Prince of Wales's Own)27/09/1918 I. B. 38. United Kingdom Private 615619London Regiment30/11/1917 II. A. 25. United Kingdom Lance Corporal 201778Gordon Highlanders20/11/1917 Age: 21 I. D. 32. United Kingdom Private 39593Lincolnshire Regiment24/10/1918 Flesquieres Chateau Cem. Mem. 2. United Kingdom Rifleman 592831London Regiment (London Irish Rifles)30/11/1917 Age: 35 II. A. 22. United Kingdom Private S/14980Gordon Highlanders20/11/1917 Age: 19 I. D. 29. United Kingdom Lance Corporal 612383London Regiment30/11/1917 Age: 21 II. A. 34. United Kingdom Rifleman 242478West Yorkshire Regiment (Prince of Wales's Own)27/09/1918 I. C. 39. United Kingdom Lance Corporal 54034Welsh Regiment26/11/1917 Age: 20 II. B. 3. United Kingdom Lance Corporal 202872Gordon Highlanders20/11/1917 I. D. 17. United Kingdom Gunner 119315Royal Field Artillery02/12/1917 Age: 21 II. C. 28. United Kingdom Second Lieutenant Yorkshire Regiment27/12/1917 Age: 27 II. B. 29. United Kingdom Private S/41466Gordon Highlanders20/11/1917 I. B. 5. United Kingdom Private 265182Seaforth Highlanders20/11/1917 Age: 19 I. D. 30. United Kingdom Second Lieutenant Seaforth Highlanders20/11/1917 I. C. 13. United Kingdom Private 90539Machine Gun Corps (Infantry)20/11/1917 Age: 21 II. A. 10. United Kingdom Driver T4/240807Army Service Corps30/11/1917 II. A. 32. United Kingdom Private 285088Gordon Highlanders20/11/1917 Age: 29 I. D. 13. United Kingdom Lance Corporal 29182Highland Light Infantry28/11/1917 Age: 23 II. C. 44. United Kingdom Private S/41595Gordon Highlanders21/11/1917 I. A. 19. United Kingdom Private S/2072Gordon Highlanders20/11/1917 I. B. 4. United Kingdom Sapper 492415Royal Engineers30/11/1917 Age: 27 II. C. 36. 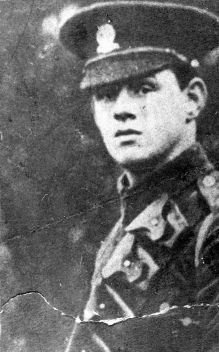 United Kingdom Second Lieutenant Sherwood Foresters (Notts and Derby Regiment)05/12/1917 Age: 25 II. B. 46. United Kingdom Private 31499Duke of Wellington's (West Riding Regiment)27/11/1917 II. B. 14. United Kingdom Private 21728Grenadier Guards26/11/1917 Age: 23 II. B. 12. United Kingdom Lieutenant Machine Gun Corps (Infantry)23/11/1917 Age: 29 I. A. 31. United Kingdom Private 105691The King's (Liverpool Regiment)29/09/1918 I. B. 25. United Kingdom Private 17069Gordon Highlanders20/11/1917 Age: 23 I. C. 9. United Kingdom Private 1759Queen's Own (Royal West Kent Regiment)26/12/1917 Age: 21 II. B. 33. United Kingdom Corporal 292182Gordon Highlanders20/11/1917 Age: 22 I. D. 11. United Kingdom Rifleman 574105London Regiment30/11/1917 Age: 38 II. A. 37. United Kingdom Private 266501Seaforth Highlanders23/11/1917 I. B. 17. United Kingdom Private 202950Gordon Highlanders20/11/1917 I. B. 6. United Kingdom Rifleman 64349West Yorkshire Regiment (Prince of Wales's Own)27/09/1918 I. C. 24. United Kingdom Private 266264Gordon Highlanders20/11/1917 Age: 22 I. B. 7. 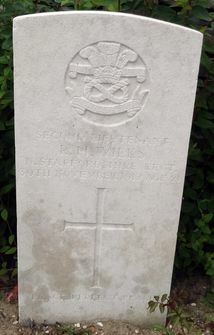 United Kingdom Private 531996London Regiment (Prince of Wales' Own Civil Service Rifles)10/02/1918 Age: 37 II. B. 21. United Kingdom Captain Devonshire Regiment29/11/1917 II. A. 21. United Kingdom Lance Corporal 266178Seaforth Highlanders20/11/1917 Age: 25 I. C. 14. United Kingdom Private 681928London Regiment30/01/1918 II. A. 3. United Kingdom Private 268044Black Watch (Royal Highlanders)20/11/1917 II. B. 5. United Kingdom Private 2167Lincolnshire Regiment06/12/1917 II. B. 45. United Kingdom Private 201449Royal Scots01/10/1918 Age: 29 I. B. 35. United Kingdom Private 285305Seaforth Highlanders20/11/1917 Age: 19 I. D. 35. United Kingdom Serjeant 19008Yorkshire Regiment27/12/1917 II. B. 28. United Kingdom Lance Corporal 76568Tank Corps20/11/1917 Age: 23 I. D. 4. United Kingdom Private 301586Argyll and Sutherland Highlanders21/11/1917 Age: 19 I. A. 30. United Kingdom Private PO/2412(S)Royal Marine Light Infantry08/03/1918 II. C. 10. United Kingdom Private 31398East Surrey Regiment26/11/1917 II. B. 4. United Kingdom Gunner 841084Royal Field Artillery25/11/1917 Age: 22 II. B. 2. 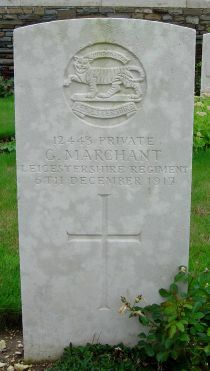 United Kingdom Private 16421Lincolnshire Regiment08/12/1917 Age: 26 Flesquieres Chateau Cem. Mem. 1. United Kingdom Private 11588Seaforth Highlanders23/11/1917 I. D. 6. United Kingdom Private 43520South Staffordshire Regiment30/08/1918 I. B. 32. United Kingdom Rifleman 60634West Yorkshire Regiment (Prince of Wales's Own)27/09/1918 I. C. 29. United Kingdom Private 241806South Staffordshire Regiment30/11/1917 Age: 24 II. A. 30. United Kingdom Rifleman 52084West Yorkshire Regiment (Prince of Wales's Own)27/09/1918 I. C. 25. United Kingdom Private 23121 15th (The King's) Hussars25/11/1917 Age: 25 II. C. 47. United Kingdom Captain Seaforth Highlanders21/11/1917 Age: 24 I. A. 7. United Kingdom Lieutenant Seaforth Highlanders21/11/1917 Age: 24 I. A. 26. United Kingdom Rifleman 678111London Regiment (First Surrey Rifles)11/02/1918 II. B. 24. United Kingdom Rifleman 652376London Regiment (First Surrey Rifles)19/01/1918 Age: 26 II. A. 7. 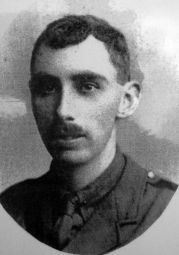 United Kingdom Corporal 265217Duke of Wellington's (West Riding Regiment)27/11/1917 Age: 25 II. A. 18. United Kingdom Second Lieutenant Seaforth Highlanders20/11/1917 Age: 23 I. C. 5. United Kingdom Private 12443Leicestershire Regiment06/12/1917 II. A. 2. United Kingdom Private 310031Gordon Highlanders20/11/1917 Age: 20 II. C. 41. United Kingdom Private 288029Gordon Highlanders20/11/1917 Age: 36 I. B. 14. United Kingdom Private S/15317Gordon Highlanders20/11/1917 I. C. 6. United Kingdom Private 203015Seaforth Highlanders23/11/1917 I. A. 23. United Kingdom Private 300648Argyll and Sutherland Highlanders24/11/1917 I. A. 10. United Kingdom Private 242395Seaforth Highlanders23/11/1917 I. D. 3. United Kingdom Gunner 631601Royal Field Artillery23/11/1917 Age: 24 I. D. 16. United Kingdom Private 353550Royal Scots23/11/1917 Age: 19 I. A. 2. United Kingdom Private 45209Royal Scots01/10/1918 Age: 23 I. B. 36. United Kingdom Lance Corporal S/40664Gordon Highlanders20/11/1917 Age: 22 I. B. 1. United Kingdom Private 300184Argyll and Sutherland Highlanders21/11/1917 Age: 21 I. A. 17. United Kingdom Private 11091Black Watch (Royal Highlanders)23/11/1917 I. A. 3. United Kingdom Bombardier 831640Royal Field Artillery27/11/1917 II. B. 10. United Kingdom Private S/41681Gordon Highlanders21/11/1917 Age: 19 I. A. 20. United Kingdom Private 292455Gordon Highlanders20/11/1917 Age: 24 II. C. 40. United Kingdom Second Lieutenant Seaforth Highlanders20/11/1917 Age: 37 I. C. 7. United Kingdom Private 285283Seaforth Highlanders20/11/1917 Age: 27 I. D. 25. United Kingdom Private 3215Seaforth Highlanders20/11/1917 I. D. 26. United Kingdom Bombardier 630642Royal Field Artillery28/11/1917 I. D. 33. United Kingdom Corporal 14439Lincolnshire Regiment06/12/1917 II. C. 4. United Kingdom Private 301030Argyll and Sutherland Highlanders23/11/1917 I. B. 18. United Kingdom Private S/15295Gordon Highlanders20/11/1917 II. C. 42. United Kingdom Private 13602Coldstream Guards28/11/1917 I. A. 5. United Kingdom Gunner 31553Royal Field Artillery26/11/1917 I. A. 22. United Kingdom Captain Gordon Highlanders23/11/1917 Age: 37 I. A. 4. 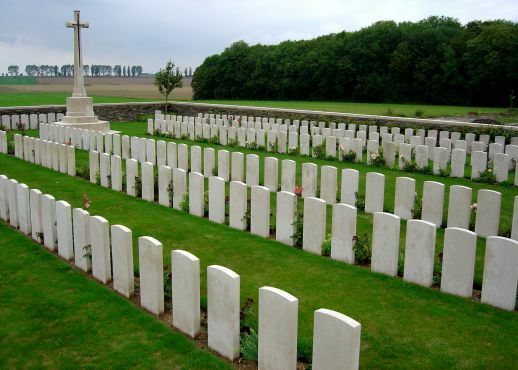 United Kingdom Private 13542Coldstream Guards28/11/1917 Age: 25 I. A. 6. United Kingdom Private 263043Seaforth Highlanders20/11/1917 I. D. 1. United Kingdom Gunner 75463Tank Corps20/11/1917 Age: 19 I. A. 1. United Kingdom Private S/11365Gordon Highlanders20/11/1917 I. C. 8. United Kingdom Private 28745East Surrey Regiment26/11/1917 Age: 29 II. C. 51. 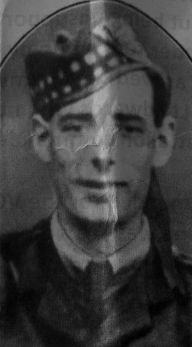 United Kingdom Lance Serjeant 265698Gordon Highlanders20/11/1917 Age: 23 I. B. 12. United Kingdom Private S/22566Seaforth Highlanders20/11/1917 I. D. 34. United Kingdom Private S/14368Gordon Highlanders20/11/1917 Age: 19 I. D. 14. United Kingdom Rifleman 265750West Yorkshire Regiment (Prince of Wales's Own)20/11/1917 II. B. 6. United Kingdom Private 20486South Staffordshire Regiment01/12/1917 Age: 19 II. B. 37. United Kingdom Private 202403South Staffordshire Regiment30/11/1917 II. C. 31. United Kingdom Lance Corporal 10802The King's (Liverpool Regiment)29/09/1918 I. B. 23. United Kingdom Second Lieutenant Seaforth Highlanders20/11/1917 Age: 24 I. C. 15. United Kingdom Corporal 201955West Yorkshire Regiment (Prince of Wales's Own)27/09/1918 I. C. 23. United Kingdom Private 266375Gordon Highlanders20/11/1917 I. D. 24. United Kingdom Private 265691Seaforth Highlanders20/11/1917 Age: 20 I. C. 12. United Kingdom Private S/13237Seaforth Highlanders23/11/1917 Age: 20 I. A. 8. United Kingdom Private 29062Royal Welsh Fusiliers24/11/1917 I. B. 16. United Kingdom Rifleman 652004London Regiment (First Surrey Rifles)10/02/1918 Age: 21 II. B. 22. United Kingdom Private 631561London Regiment22/02/1918 Age: 27 II. B. 23. United Kingdom Private 38272East Yorkshire Regiment30/12/1917 Age: 18 II. B. 26. United Kingdom Gunner 830311Royal Field Artillery30/11/1917 Age: 21 II. A. 24. United Kingdom Private S/435157Seaforth Highlanders20/11/1917 Age: 30 I. C. 4. United Kingdom Private 40797South Staffordshire Regiment30/11/1917 II. C. 21. United Kingdom Corporal 201688South Staffordshire Regiment02/12/1917 Age: 23 II. C. 34. United Kingdom Lance Corporal 240763South Staffordshire Regiment30/11/1917 II. A. 28. United Kingdom Private 99458Machine Gun Corps (Infantry)02/12/1917 Age: 31 II. C. 24. United Kingdom Rifleman 62793West Yorkshire Regiment (Prince of Wales's Own)27/09/1918 I. C. 33. United Kingdom Private 31738South Staffordshire Regiment30/11/1917 Age: 18 II. C. 29. United Kingdom Private 457162Royal Army Medical Corps01/12/1917 Age: 25 II. B. 43. United Kingdom Gunner 82161Royal Garrison Artillery30/11/1917 II. A. 29. United Kingdom Private 115663Machine Gun Corps (Infantry)20/11/1917 Age: 19 II. A. 11. United Kingdom Private 19012Coldstream Guards27/11/1917 II. B. 15. United Kingdom Private 266299Gordon Highlanders20/11/1917 I. D. 18. United Kingdom Corporal 18588South Staffordshire Regiment01/12/1917 Age: 30 II. C. 16. United Kingdom Private 203122Black Watch (Royal Highlanders)24/11/1917 I. A. 11. United Kingdom Private 71748Royal Army Medical Corps24/11/1917 Age: 25 II. C. 45. United Kingdom Private 292284Gordon Highlanders20/11/1917 I. B. 11. United Kingdom Private 242040South Staffordshire Regiment02/12/1917 Age: 21 II. C. 39. 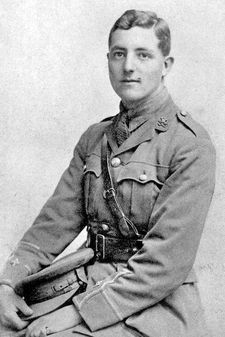 United Kingdom Captain Royal Field Artillery30/11/1917 II. C. 1. United Kingdom Private PLY/1962(S)Royal Marine Light Infantry08/03/1918 Age: 20 II. C. 12. United Kingdom Private 9876Grenadier Guards27/09/1918 I. B. 33. United Kingdom Private 241835Lincolnshire Regiment08/12/1917 Age: 19 II. C. 6. United Kingdom Private 419436Royal Army Medical Corps06/12/1917 Age: 26 II. B. 48. United Kingdom Serjeant 650426London Regiment (First Surrey Rifles)07/02/1918 Age: 23 II. B. 20. United Kingdom Private 615705London Regiment30/11/1917 Age: 19 II. A. 33. United Kingdom Private 40803South Staffordshire Regiment30/11/1917 I. A. 35. United Kingdom Private 202894South Staffordshire Regiment02/12/1917 Age: 25 II. C. 15. United Kingdom Rifleman 58765West Yorkshire Regiment (Prince of Wales's Own)27/09/1918 Age: 20 I. C. 37. United Kingdom Private 202541South Staffordshire Regiment01/12/1917 Age: 35 II. C. 30. United Kingdom Second Lieutenant The King's (Liverpool Regiment)27/09/1918 Age: 32 I. B. 19. United Kingdom Private 238055Seaforth Highlanders20/11/1917 Age: 32 I. D. 2. United Kingdom Lance Corporal 292169Gordon Highlanders20/11/1917 Age: 22 I. D. 36. United Kingdom Private 201610Lincolnshire Regiment06/12/1917 II. A. 6. United Kingdom Gunner 163941Royal Field Artillery26/11/1917 Age: 22 II. B. 8. United Kingdom Private 417426Royal Army Medical Corps01/12/1917 II. A. 36. United Kingdom Private 36996South Staffordshire Regiment01/12/1917 II. C. 20. United Kingdom Gunner 160529Royal Field Artillery30/11/1917 II. B. 41. United Kingdom Lance Serjeant 87732The King's (Liverpool Regiment)29/09/1918 I. B. 21. United Kingdom Able Seaman R/1557Royal Naval Volunteer Reserve12/03/1918 Age: 19 II. C. 8. United Kingdom Private 201766South Staffordshire Regiment01/12/1917 II. C. 19. United Kingdom Private 18696Sherwood Foresters (Notts and Derby Regiment)02/12/1917 Age: 26 II. B. 36. United Kingdom Private 266864Sherwood Foresters (Notts and Derby Regiment)02/12/1917 Age: 21 II. C. 37. United Kingdom Private 266304Seaforth Highlanders20/11/1917 Age: 19 I. C. 2. United Kingdom Private 202914Seaforth Highlanders20/11/1917 Age: 19 I. B. 2. United Kingdom Lance Corporal 279024Argyll and Sutherland Highlanders21/11/1917 I. A. 25. United Kingdom Private S/17657Gordon Highlanders20/11/1917 Age: 31 I. D. 10. United Kingdom Private 201833Gordon Highlanders20/11/1917 Age: 26 I. D. 23. United Kingdom Private 242321Sherwood Foresters (Notts and Derby Regiment)08/12/1917 Age: 20 II. C. 5. United Kingdom Private S/17680Gordon Highlanders20/11/1917 Age: 37 I. D. 15. United Kingdom Rifleman 307647West Yorkshire Regiment (Prince of Wales's Own)27/09/1918 I. C. 36. United Kingdom Lance Corporal 290456Gordon Highlanders20/11/1917 Age: 20 I. D. 5. United Kingdom Corporal 16392Queen's Own (Royal West Kent Regiment)24/12/1917 Age: 30 II. B. 32. United Kingdom Private 18530Middlesex Regiment25/11/1917 II. C. 49. United Kingdom Private 36774Queen's Own (Royal West Kent Regiment)27/09/1918 I. C. 20. United Kingdom Private S/8877Seaforth Highlanders20/11/1917 I. D. 27. United Kingdom Private 7/21833East Yorkshire Regiment03/01/1918 Age: 27 II. B. 25. United Kingdom Rifleman 573779London Regiment10/01/1918 Age: 21 II. B. 18. United Kingdom Lance Corporal 9321Lincolnshire Regiment06/12/1917 II. A. 4. United Kingdom Private 285217Seaforth Highlanders20/11/1917 Age: 36 I. D. 28. United Kingdom Gunner 75327Tank Corps20/11/1917 Age: 24 I. B. 15. United Kingdom Lance Corporal 15143Scots Guards27/11/1917 II. B. 9. United Kingdom Private 235714The King's (Liverpool Regiment)29/09/1918 Age: 22 I. B. 20. United Kingdom Gunner 205207Royal Field Artillery28/11/1917 Age: 19 II. A. 16. United Kingdom Private 21543Lincolnshire Regiment06/12/1917 II. C. 7. United Kingdom Private S/40805Seaforth Highlanders20/11/1917 Age: 22 I. D. 22. United Kingdom Private 722966London Regiment05/12/1917 Age: 25 II. B. 44. United Kingdom Private 242026Sherwood Foresters (Notts and Derby Regiment)08/12/1917 II. C. 2. United Kingdom Corporal 200493Queen's Own (Royal West Kent Regiment)24/12/1917 Age: 23 II. B. 34. United Kingdom Private 64053Machine Gun Corps (Infantry)27/12/1917 II. B. 30. United Kingdom Private 41812South Staffordshire Regiment27/09/1918 I. C. 30. United Kingdom Private 301106Argyll and Sutherland Highlanders21/11/1917 Age: 21 I. A. 27. United Kingdom Private 18802Coldstream Guards27/11/1917 Age: 20 I. A. 24. United Kingdom Second Lieutenant North Staffordshire Regiment30/11/1917 Age: 21 II. C. 14. United Kingdom Private 242139South Staffordshire Regiment30/11/1917 II. C. 32. United Kingdom Lance Corporal 200781South Staffordshire Regiment01/12/1917 II. C. 22. United Kingdom Private 202875Seaforth Highlanders23/11/1917 I. A. 12. United Kingdom Corporal 13084Royal Field Artillery26/11/1917 Age: 23 I. A. 21. United Kingdom Private S/17022Gordon Highlanders20/11/1917 I. B. 13. United Kingdom Private 202090Sherwood Foresters (Notts and Derby Regiment)02/12/1917 II. B. 38.